Armed conflict between illegal armed groups and security forces on Colombia’s border with Venezuela has deteriorated to the point locals asked the military to retreat. 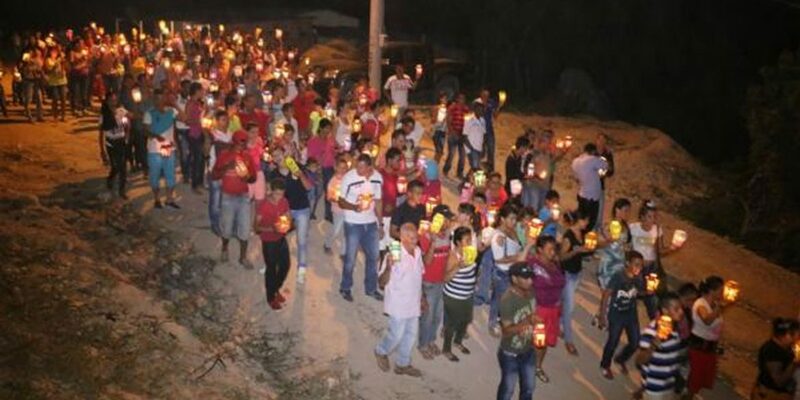 Locals in the town of San Pablo demanded that Colombia’s security forces leave the area, claiming they are putting civilians at risk of being found in the crossfire or accused of aiding security forces by illegal armed groups that are vying for control over the Catatumbo region. “Right now you [the military] are inside the homes. Can you imagine if a group of those guys launched an artifact? We already had that experience firsthand,” a social leader told military personnel during a protest. The military responded to the locals’ requests saying they repositioned troops, but refuse to leave the region that has seen combat between ELN and EPL guerrillas for weeks. Catatumbo is strategically located for drug traffickers, smugglers and guerrillas alike. The region is also flush with resources like oil, wood, mining ore, and fertile land for growing illicit crops like coca, the base ingredient for cocaine. The FARC demobilization last year created a power vacuum as rival groups like the ELN and EPL fight for control of the area. The region is now dominated by the ELN, but dissident guerrilla group EPL, paramilitary group AGC and the Rastrojos drug cartel are also active in the region. Civilians in the region are overwhelmingly poor. Many grow coca to survive and have been found in the crossfire between the armed groups. Catatumbo’s coca trade has dramatically increased in recent years. In 2015, coca cultivation in the region went up 115%, according to the United Nations. The EPL guerrillas told locals last week to close shops, students to miss school, and closed roads, while the conflict raged. The rising conflict since March 14 between ELN and EPL guerillas has left dozens dead. According to community leaders, the conflict stems from weapons stolen from the EPL and aggression against its operations in the region. Social leaders in the region have asked for the Red Cross to mediate a peace dialogue to deescalate the turf war. A community leader told newspaper El Espectador that guerrilla leaders met with the local association to mediate a solution to the violence. Locals, however, could be charged with terrorism or rebellion if they mediate between armed groups without government approval. If the confrontation intensifies locals are at risk of being displaced. Meanwhile, the government remains clueless about stopping violence in the region. The army division responsible for the region is in chaos. Colombia’s Defense Minister Luis Carlos Villegas blamed the authorities from neighboring Venezuela for the security forces’ failure to assume control over the region after the demobilization of the FARC last year. For decades, illegal armed groups have taken advantage from state abandonment on both sides of the border, moving from one country to the other without problem. “We’ve seen movement, supply, and planning from Venezuelan territory,” the minister said. Colombia has historically left the area with poor security while locals have answered to guerrilla rule. Venezuela has done no better, especially in recent years during an economic crisis that has crippled the state.